​It can also greatly enhance the benefits of a Body Work Session. 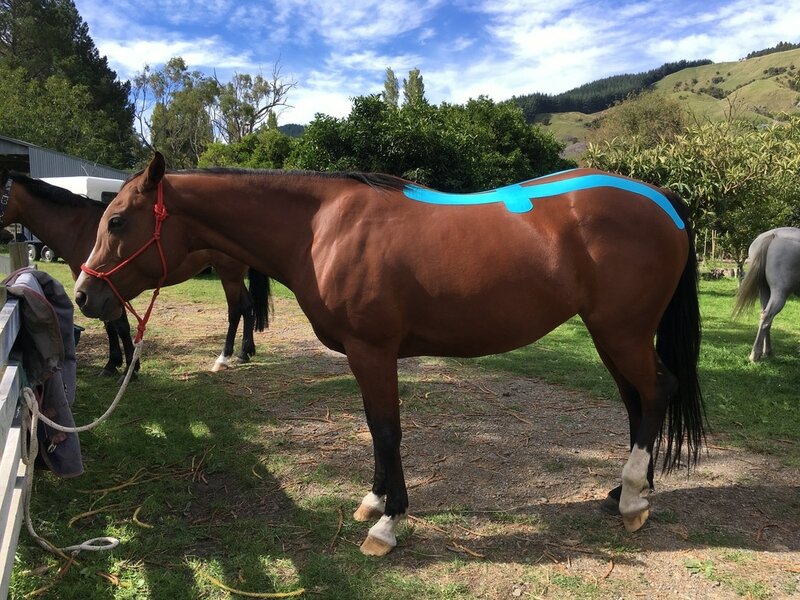 ​Kinesiology Tape improves blood flow by lifting the Horses' Hair, which in turn lifts the Skin, creating a DECOMPRESSIVE EFFECT. This Decompression allows Blood to flow more freely through the underlying soft Tissue, which aids in reducing any stagnant Fluid (inflammation/oedema) and also increases Blood flow and with it Oxygen in areas that are lacking or under more Stress during Events/ Competitions/ Training (improves Healing, Waste Removal, Recovery and prevents Muscle fatigue). This Tape also has a PAIN REDUCTION EFFECT by stimulating Nerves called Mechanoreceptors which have a direct influence on the Nociceptor nerves (pain sensation). The more Mechanoreceptors that are stimulated, the less Nociceptor nerves can fire, therefore less Pain. By applying the Tape in certain ways (depending on how it is cut, how much stretch is applied and where it is placed), it can add STABILITY and SUPPORT to Joints and Muscles. 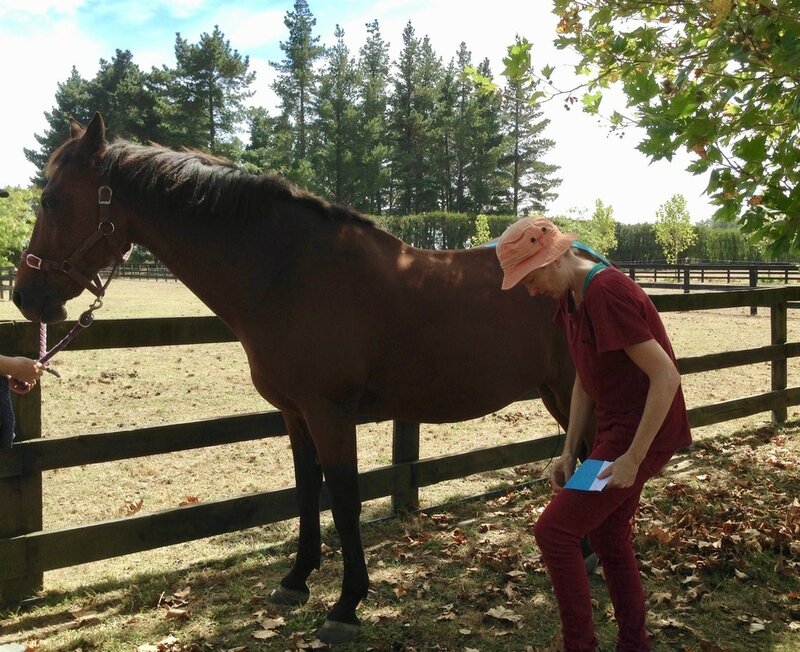 This proves to be extremely helpful when you have a Horse with an injury or instability. The Tape helps improve Function and proper Movement through Support, but doesn't restrict range of Motion like other Athletic Tapes can do. 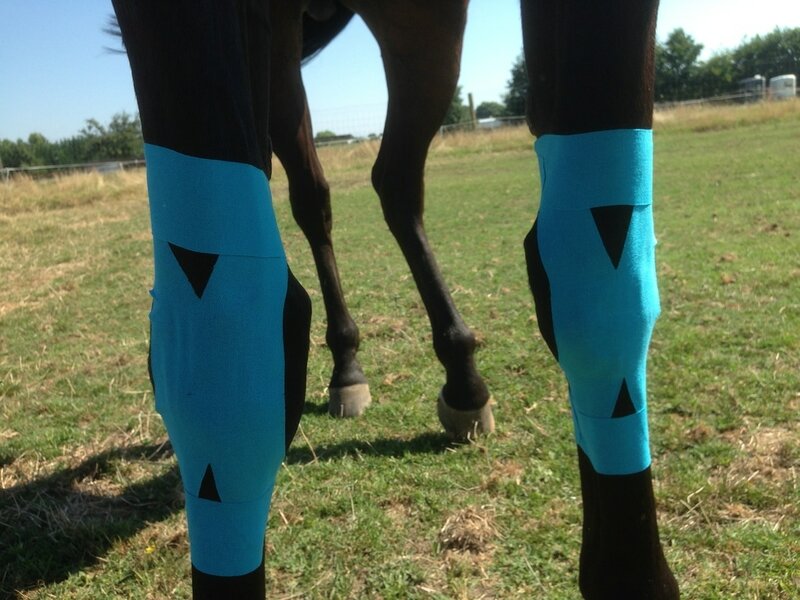 Kinesiology Tape stretches along the longitudinal Axis to allow it to move with the Body. 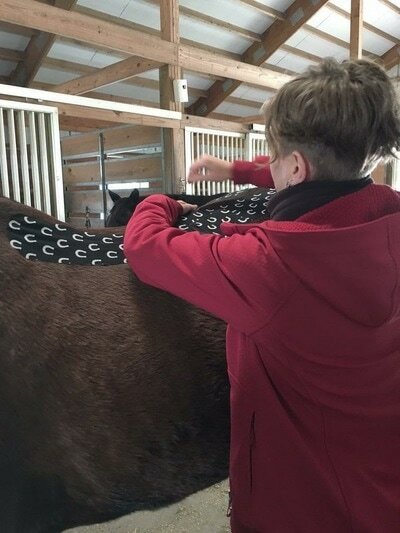 ​The Support Tapings are also useful for Competition Horses without Injuries to give extra support to Areas that are under more Stress during Training. The Tape can be worn between one Hour and up to five Days depending on how it is used and for what Conditions. Horses can be ridden with the Tape on; it is breathable and Water resistant.